The Seashell Massage Ia A Deeply Relaxing And Luxurious Massage! 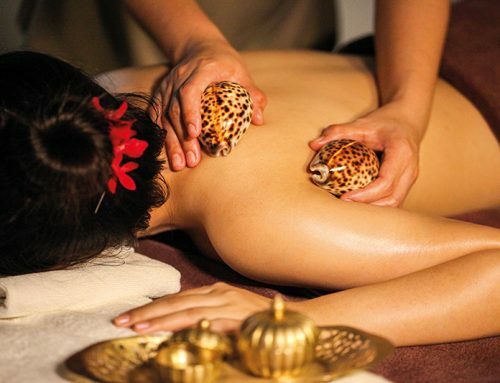 This exclusive, unique and luxurious full body massage uses ethically sourced Cowrie Tiger Shells from Tahiti and the therapists hands to deliver a seamless treatment tailored to suit your individual needs. The warm smooth shells are expertly glided over the body with varying pressures, techniques and precision enabling the therapist to reach the deepest aches and pains alleviating stress and tension. Seashells are a wonderful source of energy, they contain the essence of the powerful yet subtle energies of the oceans which nurture our planet. a dealt salt foot scrub and coconut oil is used during the treatment to moisturise the skin as the warming energy of the shells helps to revitalize and rebalance the body and mind. 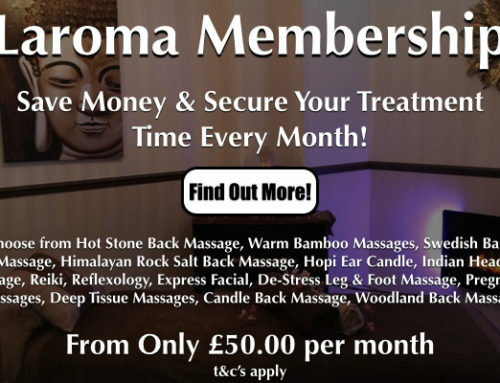 This treatment is deeply relaxing and luxurious and lasts for 75 mins, including chakra balancing, leaving you feeling calm, uplifted and refreshed. Combining benefits of the ocean, ancient healing, energy, meditation and hands-on massage and bodywork into a one of a kind experience. Kapa Kai combines these along with beautiful seashells, smooth stones and specific techniques to take your client on a tropical voyage, without leaving the massage table. The ocean inspires us to go within, to reconnect and to remember our truth. Kapa Kai brings this sea simplicity to you. Focusing on the WHOLE (Body, Mind and Spirit), Kapa Kai takes a different learning approach and starts at the core (Spirit) and starts with you. Dive in to the ocean within. Let the ocean waves, mists and life force bring you to a place of peace and healing. Surrender your worries, fears and pains to the sea. Let them go out with the tide, and let the wave of life wash upon you, cleansing you and renewing you. Feel the energies and vibrations of the life that dwells deep within these waters. Let their knowledge and light spirits go deep within your soul. Feel their love, their cleansing powers, and a place of peace, acceptance and new beginnings. Seashells were used by the Polynesians to help assist in massages as the shells were found to help relieve stress and general aches and pains. They are also used to energise and heal the body. Shells are a wonderful source of energy for relieving tension and stress in the body. They contain the essence of the powerful yet subtle energies of the oceans which nurture our planet. Their resonance facilitates the opening to a greater awareness for our nature, and creates the feeling of harmony in our minds, soul and bodies. There are several reasons why Polynesians use seashells in massage. A new and luxurious experience as the shells bring a natural element to the massage. Shell shapes mimic hands, fingers, thumbs and elbows and creative use of them will save year of wear and tear on the therapist’s joints. Shells are very versatile and can be used warmed or cool for pain relief of sore muscles. Shells are uplifting as all things in nature have energy about them and therefore lend themselves beautifully to energy work. This treatment uses the therapists forearms in a dancing motion to apply the coconut oil to the body, a warmed relaxing seashell massage then follows using various types and sizes of natural seashells. Don’t delay….book your appointment today! Call Lauren on 07791 140385!